An exhibition of contemporary Saudi art is set to open at Utah Museum of Contemporary Art (UMOCA). Focusing on spiritual links between Saudi’s holy cities (Mecca and Medina) and Utah’s Salt Lake City, all of which are historic places of pilgrimage, the exhibition explores this spiritual element as well as other shared histories. Cities in Saudi and Utah are driven by a religious code of conduct and therefore maintain a conservative outlook to the rest of the world. Therefore societies in both places share many surprising links as well as the same kind of natural landscape – both have sprung from desert lands. Not only that, both places also have a predominately youthful population, driving a need for individual expression. 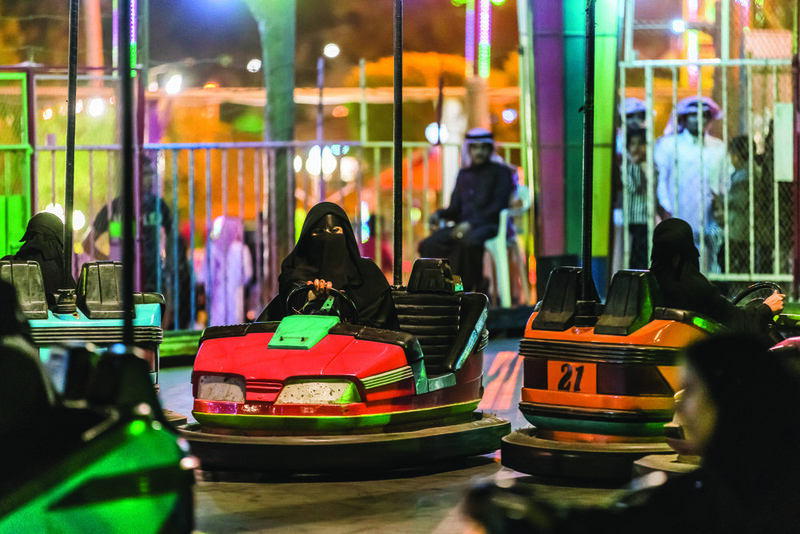 “Cities of Conviction will examine the parallels between spiritual and urban cultures in Saudi Arabia and Utah; and especially the symbolism of creativity that connects cities of pilgrimage in both places," says exhibition curator, Jared Steffensen. "Since the 7th Century, the holy cities of Makkah and Medina have drawn millions of Muslim pilgrims every year to worship at the holiest sites in Islam, the Kaaba (House of God) in Makkah and the Tomb of the Prophet in Medina. Salt Lake City was established nearly a thousand years later by Mormon pioneers in search of a safe haven for their newly established religion. Members of the Church of Latter Day Saints also make a twice-annual pilgrimage of the faithful to the General Conference at the spiritual centre of the Mormon faith, Temple Square." The artists included in Cities of Conviction use visual language to explore the pertinent cultural issues facing Saudi Arabia and its citizens, which are in parallel with those facing artists from Utah and, in a world becoming ever more global, the artists also address the dilution of specific elements of culture. In such a context, this looks set to be a fascinating exhibition. Cities of Conviction: Saudi Contemporary Art in Salt Lake City, UT is organized by the Utah Museum of Contemporary Art in collaboration with King Abdulaziz Center for World Culture, and is coordinated by CULTURUNNERS. Artists included in the show are: Abdullah Al-Othman, Abdulnasser Gharem, Ahmed Mater, Arwa Alneami, Balqis AlRashed, Nugamshi, Dana Awartani, Ghada Al Rabea, Khalid Bin Afif, Khalid Zahid, Lina Gazzaz, Masameer, Moath Alofi, Musaed Al Hulis, Nasser Al Salem, Nouf Alhimiary, Qamar Abdulmalik, Rashed Al Shashai, Telfaz11, Yusef Alahmad. Abdulnasser Gharem. Road to Makkah (2014) Digital print and lacquer paint on rubber stamps on aluminum. Image courtesy of the artist and UMOCA.